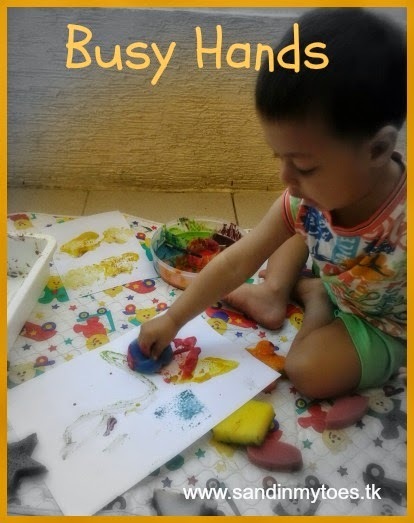 Our crafting nowadays is mostly driven by what interests Little Dude enough to sit still! He loves making his own artwork and crafts, but likes doing them without any involvement for me at all (a good thing, actually). When I asked him what he wanted to make, he asked for a traffic light. 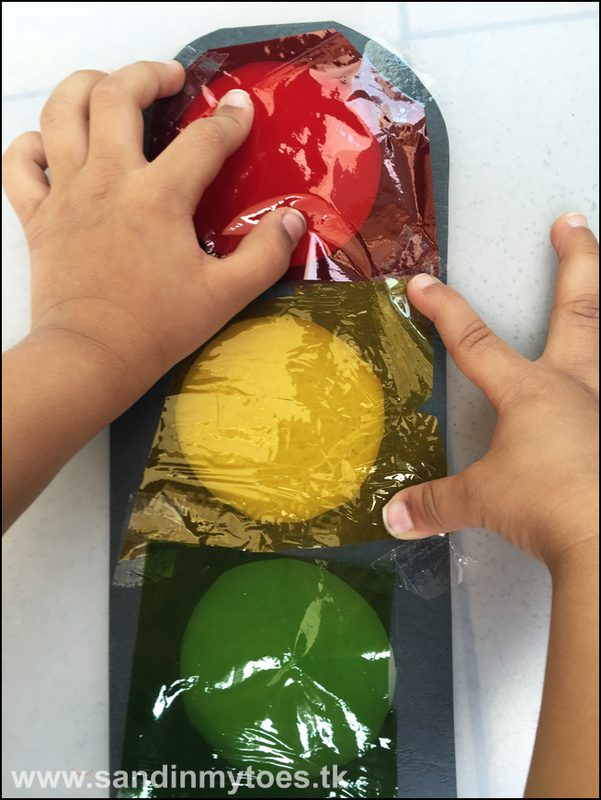 This was a simple craft, and the best part is that the 'lights' are transparent so you can shine a flashlight from behind and make it look like it works! 1. 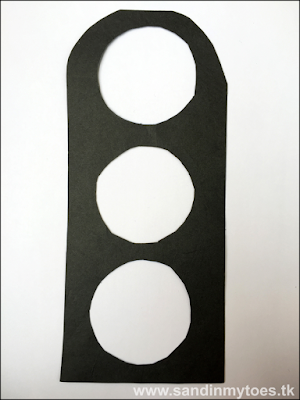 We used black card paper to make the signal, cutting out holes for the lights. Try to use thick paper so it can stand upright. 2. Next we used coloured cellophane that we had bought from a craft store (and finally found a use for!) to make the lights. 3. 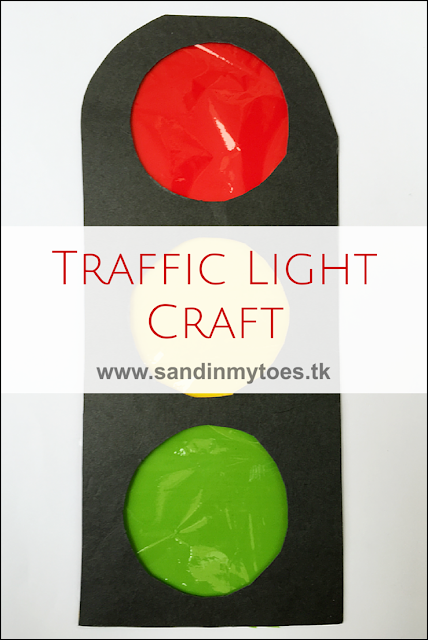 We used thicker cardboard to make the traffic light pole. 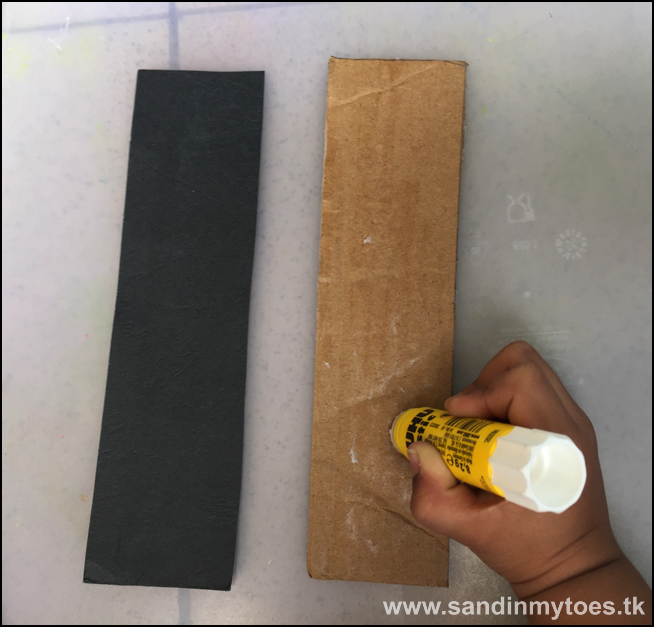 You could glue on black paper like we did, or paint it. 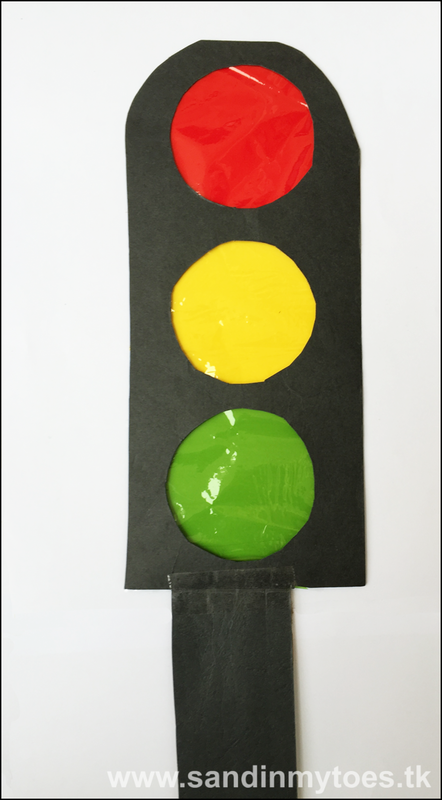 Our traffic light looks great! As I mentioned above, you can use a flashlight to shine through the cellophane and make the lights work. you can do with toddlers and young children.